As we sit here sipping on a vintage port, eating a delicious local blue cheese (Talbot Blue from Geraldine) accompanied by ‘bus-made’ quince paste, we reflect on our first nine months living full-time on the road. What are the highlights? And lowlights? What have we learnt? What would we want to do differently? Have we had enough? What do we miss? Well, let’s start with the good bits. We just love this lifestyle, and no we are not sick of it nor are we ready to settle in one spot, wherever that may be. The countryside and scenery are obvious highlights and of course the opportunity and freedom to be able to have the time to explore this lovely diverse land. But the one truly outstanding and best part has been the opportunity to meet and make friends with the most amazing, friendly, diverse bunch of people from all walks of life, all ages and backgrounds. We have made some truly good friendships on our short time on the road, and we look forward to meeting up with those friends as we tend to do along the road, to share stories, good places, good wine and food and of course experiences. And what have we learnt? Well, Bernice has learnt that Roy DOES know how to drive the van through narrow winding roads. We get on well together and have managed to live very happily together in relatively confined space, with only the odd minor disagreement. We have also learnt that you do not need "stuff" to be happy, in fact the less stuff we have the better it is. What do we miss? Well, very little in fact, perhaps to stand under a shower with the hot water running endlessly, but that is now looked upon as a treat rather than something that we are missing out on. Plus I guess it proves that we are very ecologically sound, as our use of water (minimal), power from the national grid (none, solar used), and waste of all kinds is also minimal. What would we do differently? The only thing that I can think of is the amount of gear that we initially thought we needed however, many things have been shuffled and reshuffled and eventually removed from the van (thanx for the storage Mike!!). So now we head off to do our housesitting stint, first on Helen & Don’s hazelnut farm, and then back to Pen-y-bryn for 6 weeks. Come the beginning of August we will be heading off again. Movement Update: We left Geraldine (finally) last Sunday and headed for Waimate where we spent the next three days spending time around the town and spending the evenings with dear friends Anne & Paul playing cards until all hours and laughing ourselves silly. Shame about the results though, we girls ‘allowed’ the boys to win just about all of the games! On Tuesday sister Sue and her husband Jeff called in on their way through the town, the next day we headed off to Oamaru, calling in and doing a few jobs along the way before heading out to Helen & Don’s where we will be until mid June. 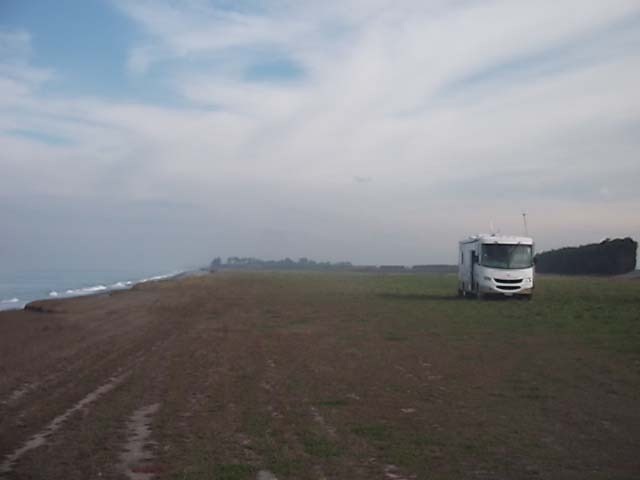 It is noticeable that a lot of the permanent motor home dwellers head for a comfortable site and hunker down for the winter. Our way of doing so is to "house sit". An opportunity to take stock and lose some more of the useless items on board. So we may be a little sparse in our postings over the next few weeks as there may not be a lot to comment on. Its true, we seem to have got ourselves well and truly entrenched here in Geraldine. We are quite comfortable parked up at the POP just out of Geraldine, hooked up to power, and generally keeping ourselves out of mischief. With nothing better in the offing we decided to do a little geo-caching on Sunday. It is an activity where one finds a hidden cache having been given the GPS coordinates, sort of like a treasure hunt with GPS. 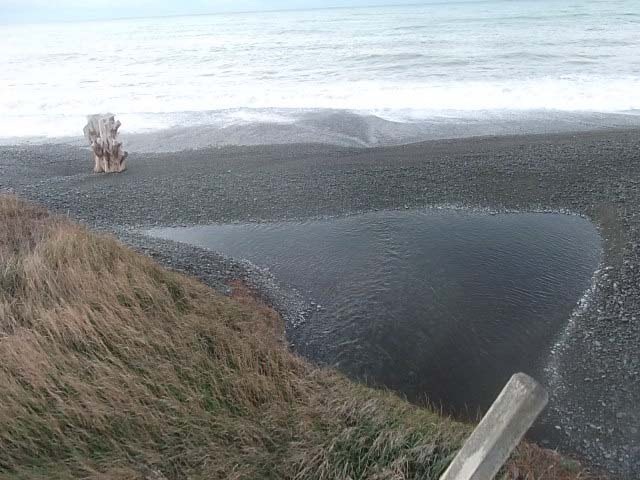 We found out about it when we were on the West Coast and after a disappointing experience in Greymouth gave it away. This time we decided to give it a try and picked out four caches from the web site that were reasonably within range around Geraldine. Off we went into town and found four of them without any real problems, although they were not necessarily obvious even with the GPS coordinates and a couple did take us sometime to hunt around for them. The last one was within walking distance from our POP and so that one was done on foot. Great fun, and we will be doing more again soon. 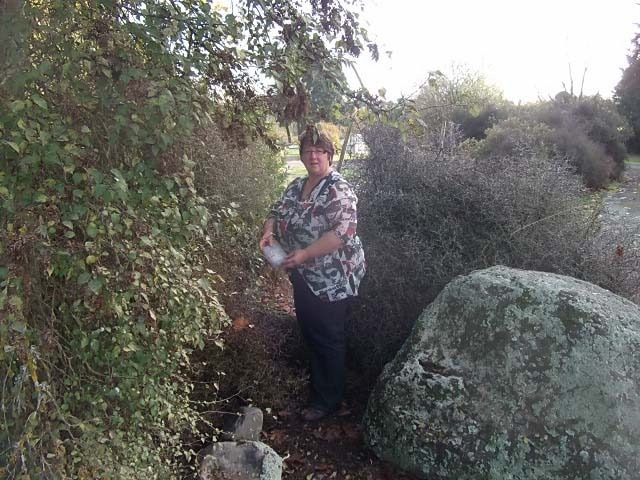 Bernice locates one of the caches at a location in Geraldine. 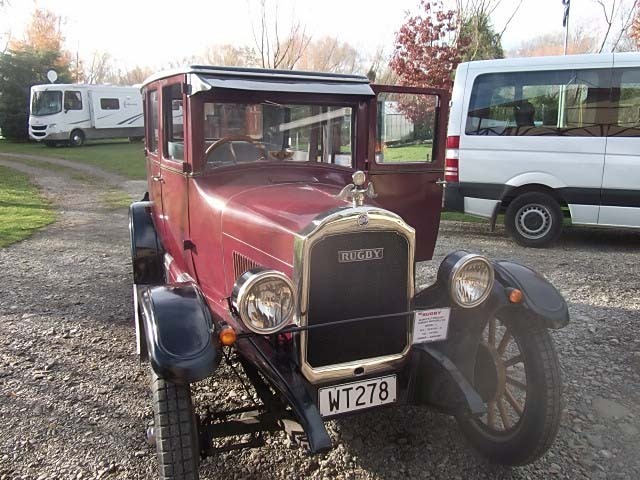 The owner of the property where we are parked went up to Blenheim recently and returned with a vintage car. For the first time since we have been here he had it out on Sunday so we had a good look. 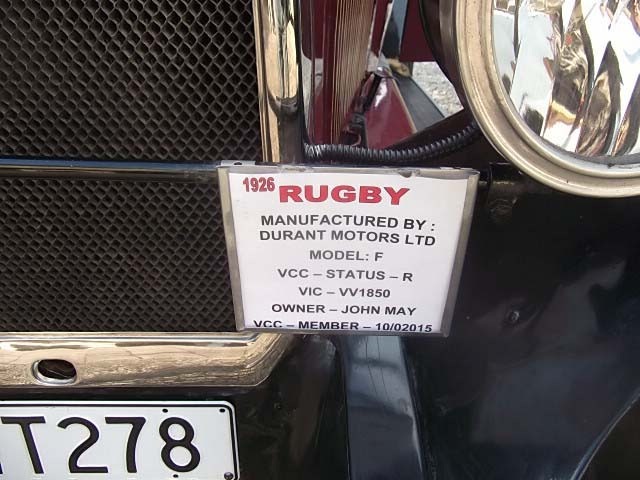 It is a 1926 Rugby (obviously appropriate for New Zealand). 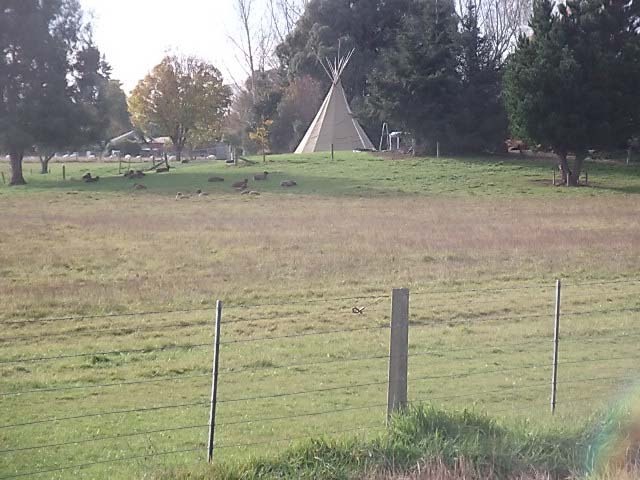 On the way to and from Geraldine we pass this tepee erected in a property where the house is a log cabin structure. a wee bit chilly for this time of year!! We seem to be able to keep ourselves busy most days. Roy is rewriting a computer programme so that is keeping him very busy – and his brain ticking over! Bernice has been knitting up a storm for the grandchildren and both of us have been catching up with lots of reading. As we were both scrambling for the use of Bernice’s iPad, Bernice now has a new iPad aka iPad3, and Roy has inherited the original one. 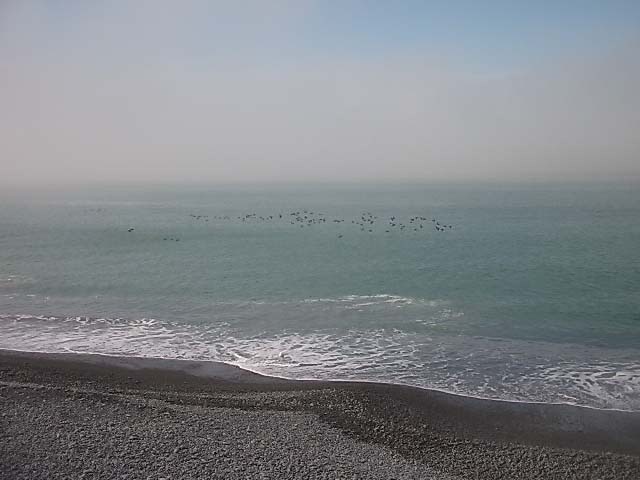 It is not too long now until we are due back in Oamaru to take up our house sitting duties, first at Helen & Don’s hazelnut farm for two weeks from the end of May, and then back to Pen-y-bryn for 6 weeks. There is a definite chill in the air, the autumnal colours have been fabulous this year and the recent dusting of snow on the hills has reminded us that winter is knocking on the door. Time to haul out the winter woolies, hot water bottles and slippers! We intend staying here in Geraldine until at least the end of weekend, then we shall move on and inch our way closer to Oamaru. 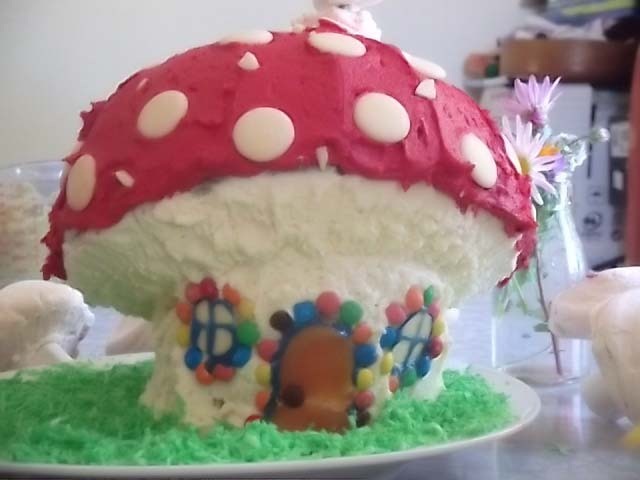 Whoever said that retirement meant you had heaps of spare time was lying! Although it has to be said that the trend for procrastination does appear to be about right, cos with all this time, there is always tomorrow! Well, that’s our excuse for being slack with the blog so here we go with a bit of a catch up and the tale of the Great White Hunter will appear later on. 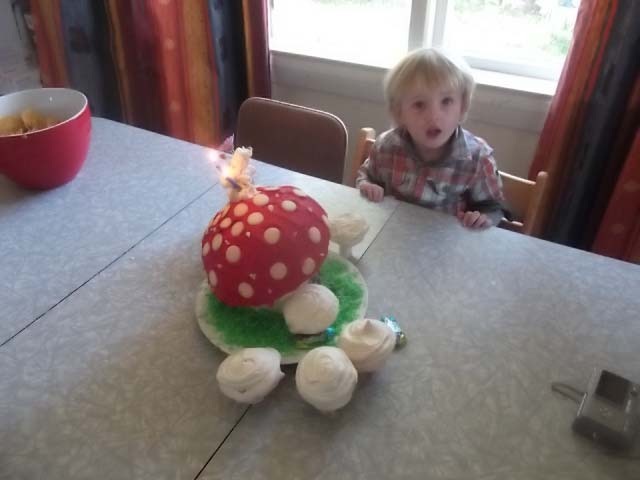 First up are photos of André’s 2nd birthday cake. And here are some pics of the wonderful POP at Lowcliffe, where we competed with? well, no one really, for parking space! Is that a log on the beach? 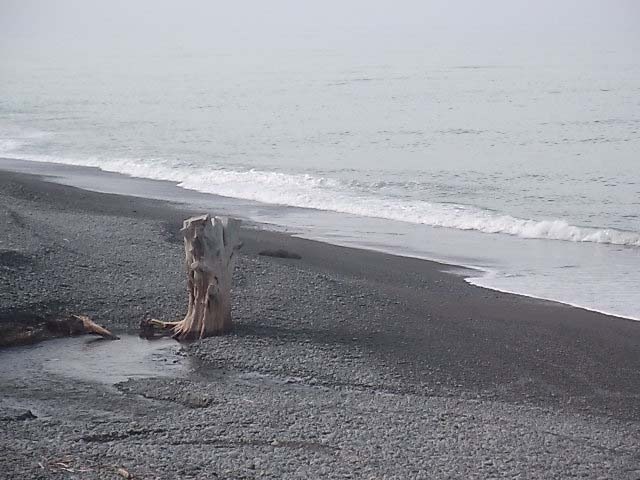 Yes it is but that other “log” by the water line is in fact a mother seal with her cub somewhere frolicking in the surf. And why not relax in comfort when surfcasting off the beach? 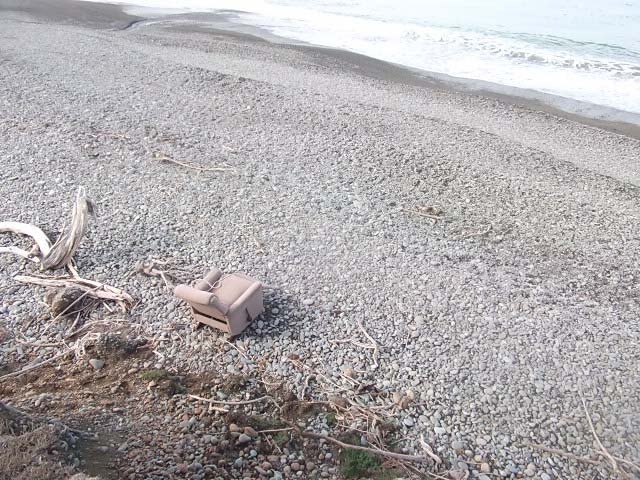 The locals provide this recliner to sit and watch your fishing line. And yes, the fisherman of the family did actually catch 5 fish (all of them sharks), but not of keeping size! and see all those birds on the water? Ducks, they knew that the coming weekend was opening day of Duck Shooting season!! 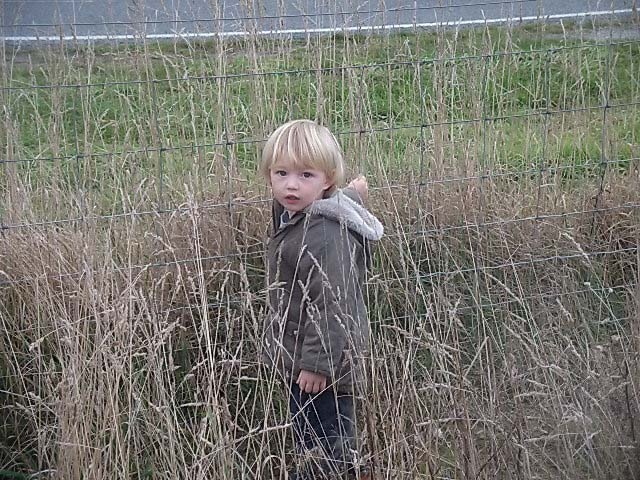 Back to the family and here is André inspecting the new fencing which has divided the large paddock up into smaller blocks. 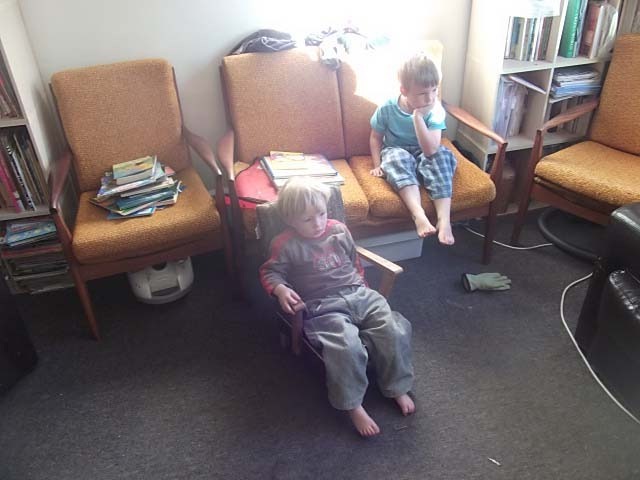 André (on small chair) and Theo intensely concentrating. 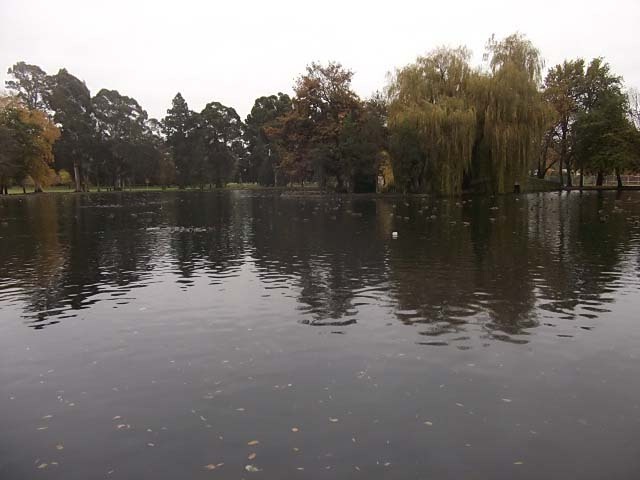 After being blown to pieces out at Lowcliffe, and with no internet or phone reception, we moved back into Tinwald Domain where more ducks were taking refuge at the Domain Lake. By Opening Day the whole of the Lake was totally covered by ducks. We had booked the RAV into the garage for the Monday morning to get the repairs attended to the radiator and hose and the proper battery fitted. We had our car returned Tuesday afternoon, luckily they had a courtesy car we had the use of for those couple of days. The repairs only cost one arm and one leg! Wednesday and Bernice left Roy working and she headed off to see Erica and the children, as she had been busy knitting a cabled vest for Rose for school, and she had also been cooking up a storm with dinner for the family for a few nights. On her return journey back to the van, she noticed that the temperature gauge on the RAV was jumping around and heading toward High. Back to the garage on Thursday morning, and wouldn’t you know it? the water pump had died and he thought that the cam belt needed replacing as well. Damn, there goes the other arm and leg! Oh well, confined to barracks (no courtesy car available) Jason picked us up after he had finished work so we could attend Theo’s 4th birthday party. Ooops, this time we forgot the camera so you will have to take our word for it that Erica had made a lovely Dog shaped cake for Theo. Got the car back Friday evening. Told we are sooo lucky as it could have all turned to custard with lots of bad mechanical stuff that could have happened ……Bernice is writing this and her eyes glazed over at this point of the explanation. 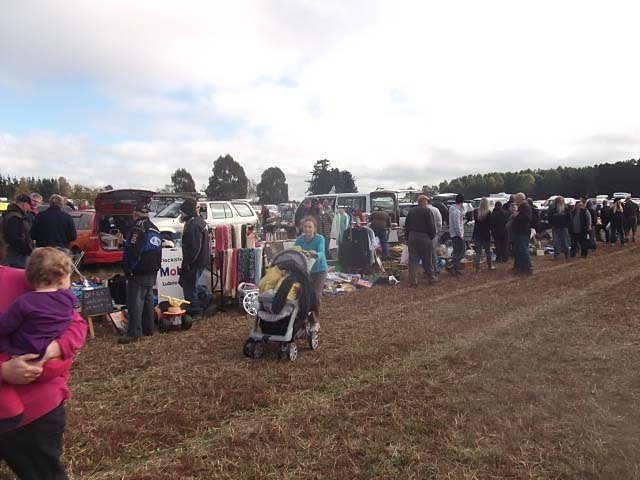 We woke Saturday morning and noticed that there was an awful lot of traffic on the road and could not work out why, until a bit of an explore and next door there is a massive bring and buy/swap meet sale run by the local Vintage Car Club. Part of the swap meet. Sunday morning and time for us to move on. We head for Geraldine and a nice POP just out of the township where we have been parked up since. Roy has been doing the odd bit of work, Bernice is knitting up a storm for the grandkids, in between we have explored the township of Geraldine. One of our finds in the town (apart from the great cheese shop and the chocolate shop!!) is a place called the Giant Jersey, where at the back of the shop the owner has made a complete replica of the Bayeaux Tapestry out of the teeth from old knitting machines! Oh, and were you wondering about the Great White Hunter? Well, it appeared we may have had a mouse on board as there were nibble marks at the corner of a bag of flour stored away in a cupboard. The cupboard was removed and a mousetrap installed at the back of the cupboard where wiring comes through. And sure enough after a couple of hours, the peanut butter was too much to refuse and a mouse was indeed caught. The trap was reset, and lo and behold, the partner of the mouse was caught. So far no more mice have been caught but the trap is still set, just in case. Roy has earned the title of GWH! We arrived at the Tinwald domain and parked up at the overnight parking spot, and found that our friends Jim and Judith (whom we met at Fortrose) had also arrived. We spent two nights here and managed to get a few things done in town that needed attention. Anzac day and Roy went off to dawn service before we packed up and headed out to Jason & Erica’s for Andre’s 2nd birthday party…….photos to follow!! A lovely day was spent with the grandchildren before we decided it was time to head off down the road to Lowcliffe and the POP on the sea front. Apart from taking a slightly circuitous route to get there, Bernice arrived ahead of Roy, but wondered why he was taking so much time to get through the gate as I could see the headlights shining, so back I go to investigate. Let’s just say that van+gatepost+darkness = oops!! Then what do you know? the RAV has a flat battery, so we push it to the van and jump start it, finally we get to the parking spot. All that was said was @&¥€+*^%#£. Next day and inspect the damage, less said the better. In the afternoon we head off to pick up Dante and Rose from school, to take Dante into town for hockey practise and drop Roy off to get some work done. I had only just dropped Roy off and just gone further along the road when, with a loud bang, steam erupts from the bonnet of the RAV. I manage to creep safely around the corner out of the way of traffic. Two very kind ladies stopped to assist and offered to get help. Meanwhile, I race down the road on foot with the two kids in tow to get Dante to practise and not too late. Luckily Jason’s school is just across the road and as school had finished he was able to take over child minding duties. I went back to the car where both the breakdown man and Roy had arrived. To cut a long story short, we were towed to the garage, a heater hose replaced, interim new battery installed, and car booked in for Monday morning for new battery and a radiator clear out and check over. Back to the van. Friday and Roy heads off into town to the library for Internet and work to be done, whilst Bernice stays at the van to do some baking. Well, that was a bit of a disaster, Anzac biscuits made without sugar, and a date loaf that split and exploded over the floor of the oven before I managed to retrieve it!! So gave up on baking, and sat back to to some knitting and watch a mother seal sun bathe and her cub splash about in the shallows, and dolphins frolic in the waves. Oh, I forgot to mention that the weather has been stunning and the sea incredibly calm. Roy returns and decides to try his hand at fishing……we had steak for dinner! Saturday morning and off into town again to watch 3 grandchildren play soccer and hockey then off to the library again for more Internet/work, before getting the shopping done, then back to Jason and Erica’s to get some laundry done before retiring back to the van for another attempt at fishing. Sunday and Roy headed off to help Jason slaughter two of their pigs ready for butchering. Bernice decided to stay at the van and found other things to do…..those of you who know how much Bernice enjoys gory stuff, you will understand!! Monday and a day spent in town trying to get a few things done and also to get some decent Internet and phone reception. Back to the van and gale force southerlies blowing in from Antartica! We hunker down for the evening, the farmer came along and offered us a some shelter behind some of his sheds, but we decide to stay put for the night. Tuesday and we decide to move, Roy has a lot of work on so we need to be able to access reasonable connectivity. A move back into town and back to the Tinwald domain. Here we will stay until at least Friday as Thursday is Theo’s 4th birthday. No photos today – another long story!! !